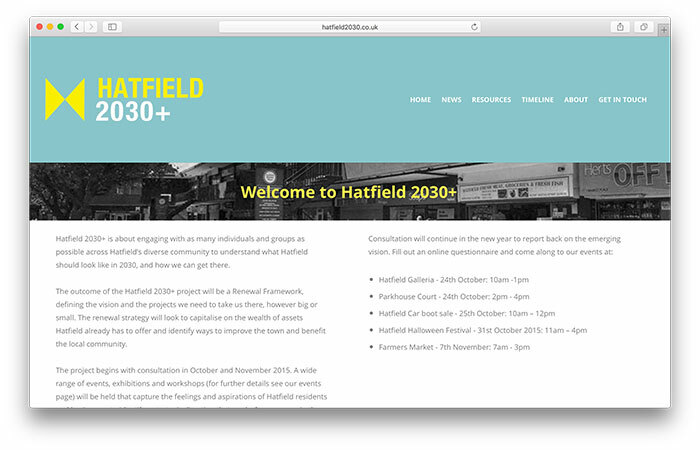 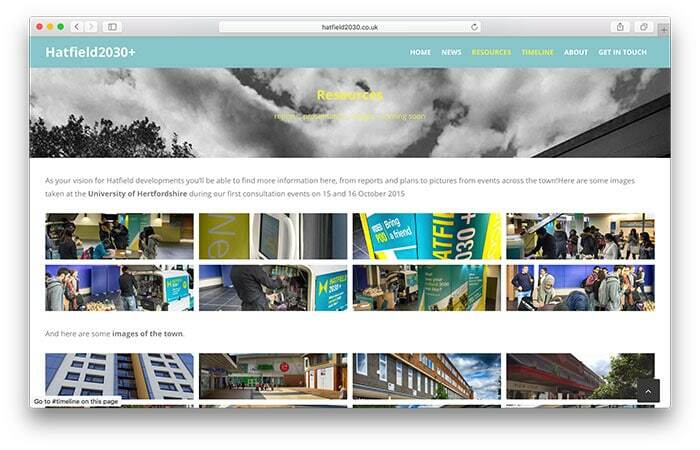 Hatfield 2030 is an interactive website commissioned to engage with communities in a regeneration project for the town of Hatfield. 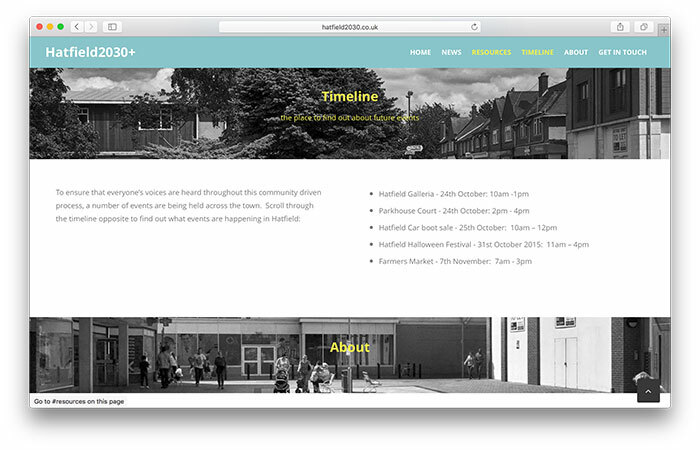 This simple site uses a Single Page Application (SPA) to create a lightweight easy to use interface ideal for mobile use on tablets and smart phones. 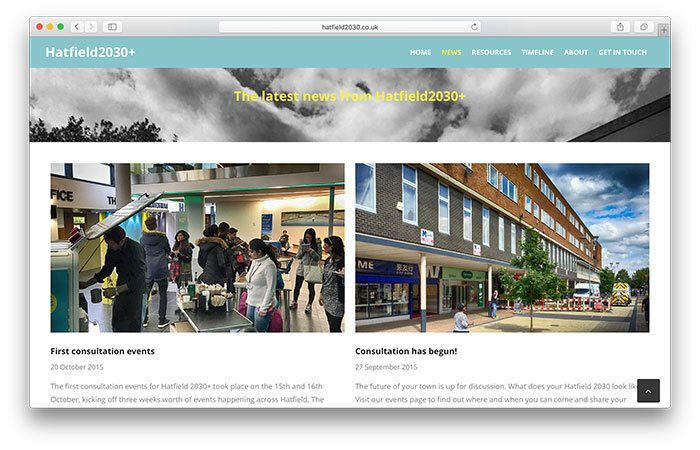 The website is part of a package of social media which is proving to be an important part of the development ideas and proposals for the town.